President Rodrigo Duterte took matters into his own hands this time as he tried a sniper rifle and fired at the direction of the Maute terrorists' lair in the Marawi City. Despite the danger in the main battle area, the President insisted on stopping outside the safe zone to inspect the damage near the main battle area. “I will be happy to die for my country. I need to be with you to show my solidarity,” Duterte said during his visit. In his speech before state troops, the President vowed to end the Marawi crisis as soon as possible. 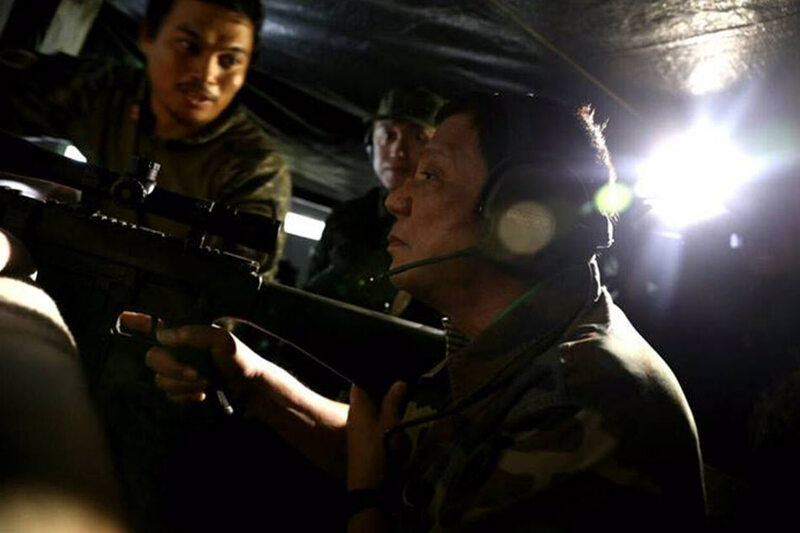 “We have to end it the way it should be at ang earlier kong pronouncement, we will not stop until the last terrorist is neutralized,” Duterte said. “Once maano ito we will make sure that we will look for the money to rehabilitate Marawi but at the same,” he added. The government has earmarked at least P20 billion for the rehabilitation of the strife-torn city. Earlier this week, in an attempt to bring a sense of normalcy in the city, the Mindanao State University resumed operations.